Home is where the heart is, the old adage goes. Chester Georgi-Densmore and his wife hoped their future would include children, and so they spent a year searching for a house that fit their dreams. They envisioned extra bedrooms for kids and visiting family, a modern kitchen, nearby parks and a fenced yard for their dog. They were first-time home buyers navigating the Puget Sound region’s competitive real estate market. They made offers on three homes; all were declined. The couple was planning to take a break from what they call the “emotional roller coaster” of house hunting when they tried one last time. Thanks to experienced guidance about how to play the market, together with cooperation between their Realtor and mortgage broker, they closed on a four-bedroom, century-old house south of Columbia City. Their son was born the next year. What did the couple learn? When you have dreams of owning a home in a hot market, it pays to be prepared in every possible way for every possible outcome. “Even if you’re currently not interested or ready to buy a home, it’s important to learn about the process. Get a sense for the terminology, the process and guidelines. It’s helpful to have that information down the road,” Georgi-Densmore says. Maybe you’re not currently ready to buy a home. Maybe you want to upgrade to your next home but think it might be impossible, given the Puget Sound area’s skyrocketing prices. 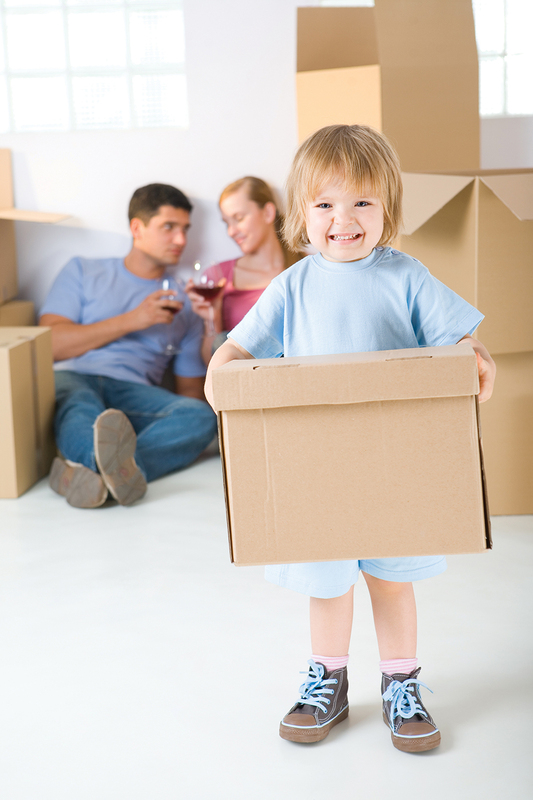 Whether dreaming about owning your first home or your fifth, it pays to plan ahead, even years into the future. Fiorentini advises checking your credit report before anything else. If there are late payments or collections you don’t recognize, resolve them if possible. On the flip side, if you typically pay everything in cash, open a credit account and use it responsibly to establish a positive history. Plan ahead if you are, or plan to become, self-employed. Even if you have a significant amount in savings, banks want a record of stability. According to Sara Lerner, loan officer at Salmon Bay Lending, banks want to see 18−24 months of self-employment history verified by tax returns. It is also preferable that all your earnings be within the same line of work. Given the region’s competitive housing market, some assume a home is completely beyond their means. Not necessarily, say experts. “Have those conversations to find out. Once we really look at the numbers, you might be surprised. We can at least make a plan to work toward it. There is no need, though, to just write off the idea completely,” Lerner says. Common scenario: You find your dream house and immediately begin to fantasize about interior decorating, and all but paint your name on the mailbox. Then you talk to your loan officer and discover it is a financial impossibility. The first steps are submitting a loan application and having an initial meeting with a loan officer. Lerner supports individuals in “rate shopping” and comparing lenders. However, do it during initial conversations before proceeding to the more time-consuming and involved preapproval process. Next steps include reviewing income documentation and debt. Extra documentation is sometimes requested. Lerner cites the example of a teacher who might need verification of whether their employment is nine or 12 months annually. Also, those with base salaries supplemented with regular commissions or bonuses might also need to provide more paperwork. “If we ask for additional documentation, it doesn’t mean anything is wrong. It just means we’re poring over it carefully so we can have a thorough conversation,” Lerner says. It can feel awkward talking about finances, but being up front expedites the process and helps ensure buyers have appropriate financing. “No one wants to expose all the financial skeletons in their closet, but there will be a time when everything is shown and known anyway. Work with the bank up front and give them everything you have. It’s helpful down the road,” Georgi-Densmore says. A loan officer will discuss and advise you on mortgage structures. According to Fiorentini, a 30-year, fixed-rate mortgage is traditional for first-time buyers, but there are many options. Likewise, a 20 percent down payment is typical, but possibly negotiable. Be aware, however, that anything less may require mortgage insurance. Be up front about what mortgage range you’re comfortable paying. Perhaps you have other life costs — food, recreation, medical, financial care for others — that do not appear on your official documentation. Even if you are preapproved for a certain amount, perhaps you’re uncomfortable in that bracket. Once you have preapproval, a Realtor can help you weigh availability versus affordability. “Especially for families, we discuss things like the school district, neighborhood and whether it offers proximity to grocery stores or places for children’s activities. Is it located on a busy arterial? What is the long-term game plan? 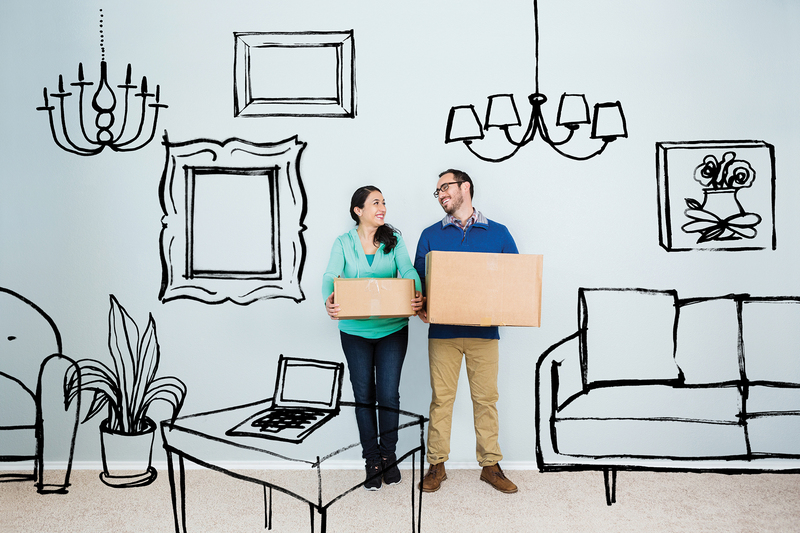 Is the house large enough for an expanding family so you don’t have to move a second time in the near future?” says Scott Henry, an owner and designated broker with John L. Scott Real Estate. In terms of financial obligations, Henry also advises clients to consider home maintenance costs, which are sometimes overlooked. A loan may cover the initial costs, but factor in future services for furnaces, water heaters, roof, gutters and more. Realistic timing is also essential. While individual cases vary, Henry advises that if a buyer bids and negotiates a purchase within 15 days, plan an additional 35−40 days to close. Then add time for preparing the house and moving in. Consider it in your financial planning because an extended time frame can add to costs — especially if you’re renting. Timing can also affect the loan side of the process. Especially in the Northwest’s high-demand real estate market, it often takes extra time to complete and deliver inspection and appraisal reports. “Be realistic with the terms of their contract, so they know there is enough time to manage anything that comes to light. Rather than a 20-day close, it’s sometimes reaching beyond 30 days,” Fiorentini says. Henry and Fiorentini stress the importance of good communication between everyone. For Georgi-Densmore, that was the key to buying his family’s first home.